Ousted Snapchat early employee Reggie Brown was paid $157.5 million in a settlement in September 2014 to close off a 2013 lawsuit he had brought against other co-founders Evan Spiegel and Bobby Murphy, alleging that they had taken his original idea and run with it, pushing him out of the company without compensation in the process. The details were made public for the first time in Snapchat’s parent Snap Inc. S-1 filing today, unveiled as a first crucial step in the startup’s bid to go public on the NYSE, which is expected to happen in early March, according to our sources. The financial terms of the deal between Snapchat and Brown were not disclosed when the settlement was first announced. Why $157.5 million? It’s not exactly clear, but an in-depth report that we published in 2013 when the suit was freshly filed notes that Brown started to get his ducks in order after Snapchat had raised $13.5 million at a $70 million valuation, so it may have been a calculation based on the value of the company at the time. Considering that this IPO will likely see Snap raising $3 billion at a $25 billion valuation, it seems like that was an ultimately small price to pay to settle the case. One source, who spoke on condition of anonymity, said he was in his room in the spring of 2011 with Brown and another member of the fraternity, neither Spiegel nor Murphy, was joking about sexting when Brown came up with the idea for an app with disappearing photos. 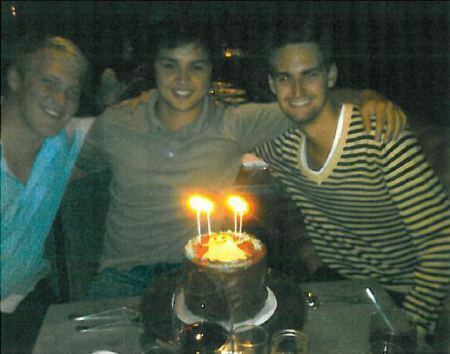 Eventually Snapchat was formed, with Brown as part of the founding team and Spiegel and Bobby Murphy calling themselves the co-founders. Brown alleged that they eventually ousted him from the company and refused to give him credit or compensation for his contributions, which included (in addition to his claim that they came up with the concept) that he helped them file patents. Snapchat noted in the S-1 two other legal cases, one dismissed and another ongoing. The ongoing case concerns the two young women who were the stars of early Snapchat promotional items, who filed their case against the company in the same month that it settled with Brown. They claim they didn’t get enough compensation for their involvement. “The matter is currently in active discovery. We believe that the lawsuit is without merit and intend to continue to vigorously defend ourselves in this matter. Based on the preliminary nature of the proceedings in this case, the outcome of this legal proceeding remains uncertain,” Snapchat writes. The other case dates from April 2016, and interestingly involves one of Snapchat’s filters. “An individual filed a lawsuit against us and another individual after he was injured in a car accident. The plaintiff alleges that we are liable because the other individual was supposedly using our ‘speed filter’ at the time of the collision.” A court dismissed that case this month.